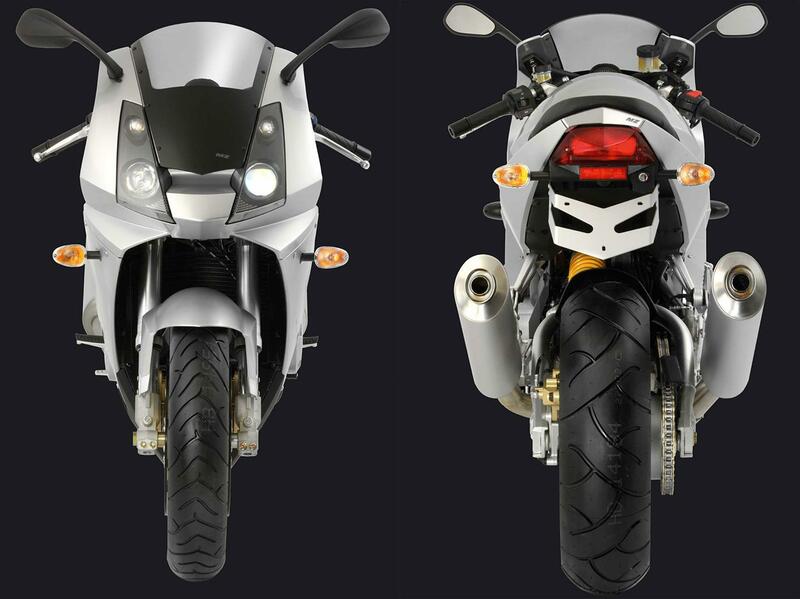 In 2004 the 1000S, and its naked brother the 1000SF, were the first large capacity bikes to roll off legendary German manufacturer MZ’s production lines since its takeover by Malaysian company Hong Leong Industries in 1996.
pparently styled by the same designer as the F-117 Stealth Fighter, the MZ1000 S was the firm’s sportsbike and with its 999cc parallel twin motor and steel trellis frame promised to be something a bit special. Unfortunately it didn’t deliver. With no UK distributor to help sales the bike fell flat on its face and it wasn’t long until MZ abandoned the concept of making large capacity bikes and shut its factory’s doors in 2008, meaning the two bikes that are still patrolling the UK’s roads will have a struggle when it comes to spares. Worth considering as a second hand 'unicorn' buy then? Not really. 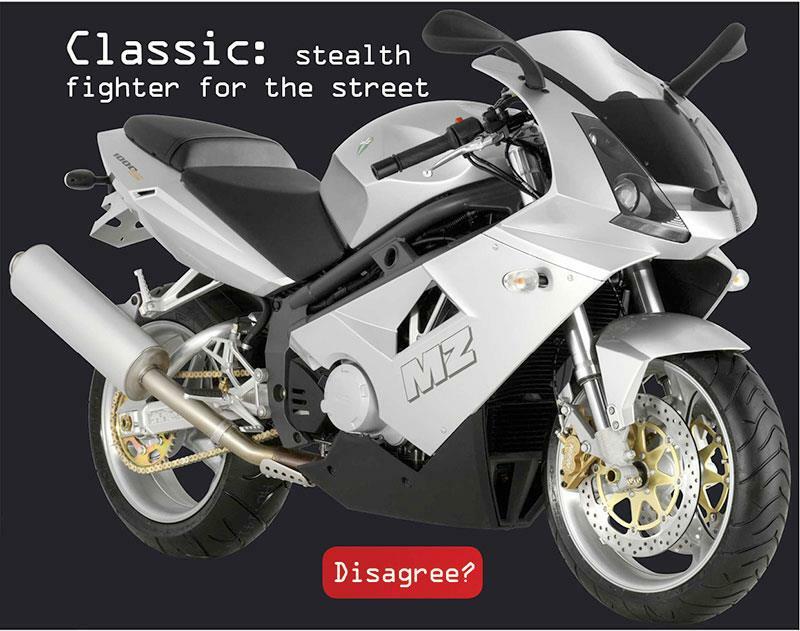 The MZ feels agricultural to ride with poor fuel injection, a rough bottom end, harsh suspension and weak brakes. Once up to speed the engine smoothes off and with 117bhp it has a fair degree of grunt, however that alone isn’t enough to warrant owning one. Enthusiasts will probably rave about the 1000S, but in reality a TL1000R, Firestorm, SV1000 or just about any other twin is a better buy. Crusher. Some things such as sauerkraut and David Hasselhoff’s musical popularity are best left in Germany, the MZ 1000S can, and should, be added to this list.